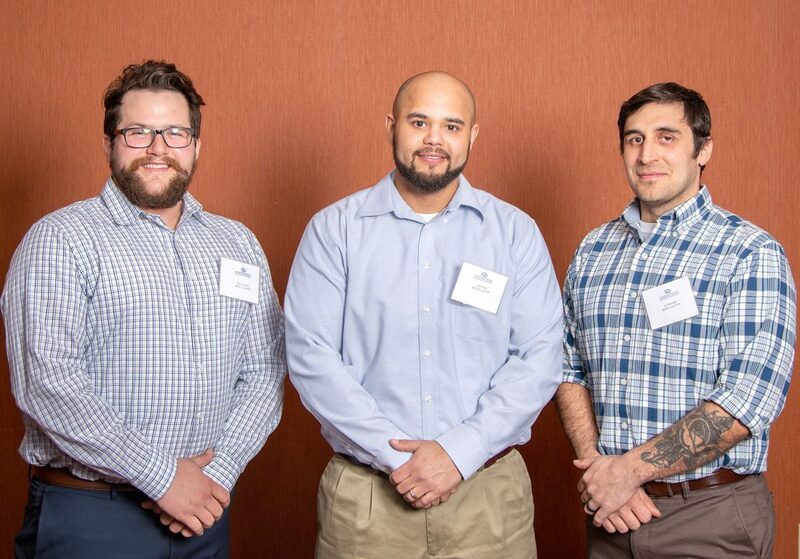 DEJIAN DEAN, CENTER, recently was named Upper Peninsula Apprentice of the Year at an event hosted by the Upper Peninsula Construction Council. At left is Zane Paquet, accepting for finalist Ethan Ledford. At right is finalist Joe Beaudry. 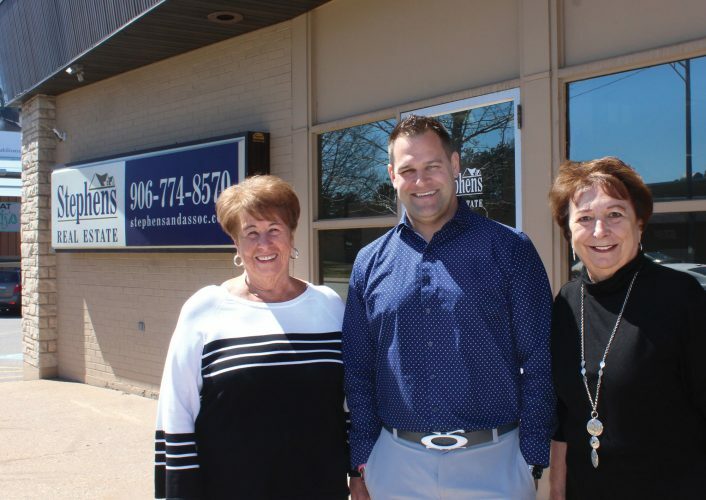 HARRIS — An Escanaba man has been chosen as Upper Peninsula Apprentice of the Year. Dejian Dean belongs to International Brotherhood of Electrical Workers Local 906. Other finalists were Joe Beaudry, IBEW Local 906, and Ethan Ledford, Carpenter/Millwright Local 1510, both of Marquette. More than 200 people attended the eighth annual recognition banquet March 9 at the Island Resort and Casino in Harris. This event was organized and hosted by the Upper Peninsula Construction Council to recognize outstanding apprentices in the U.P. construction industry, with 18 apprentices nominated. The selection panel was made up of James Ebli, president, Gundlach Champion, Inc.; Deborah Veiht, superintendent, Marquette Alger Regional Educational Service Agency; Roxanne Daust, president and chief operating officer, Range Bank; Don Maki, commissioner, Federal Mediation and Conciliation Service; and Mike Fornetti, WE Energies.